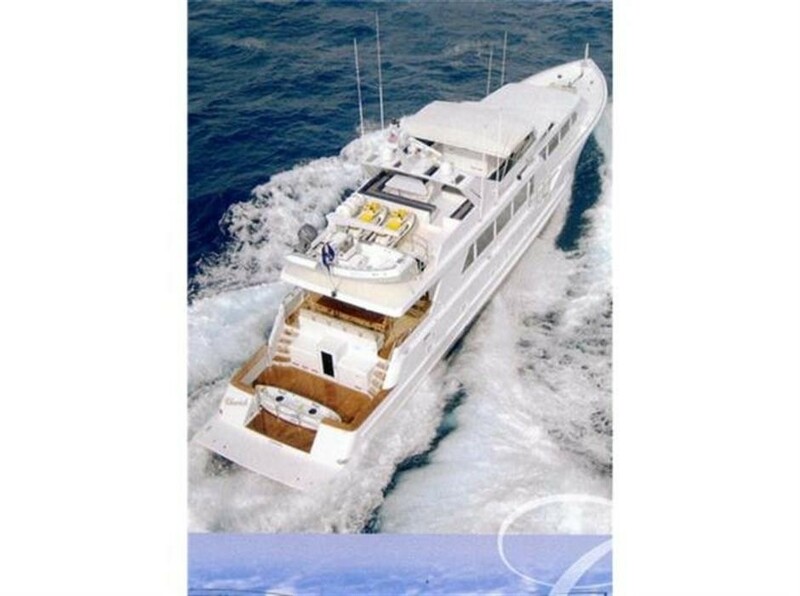 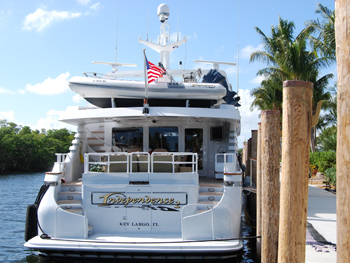 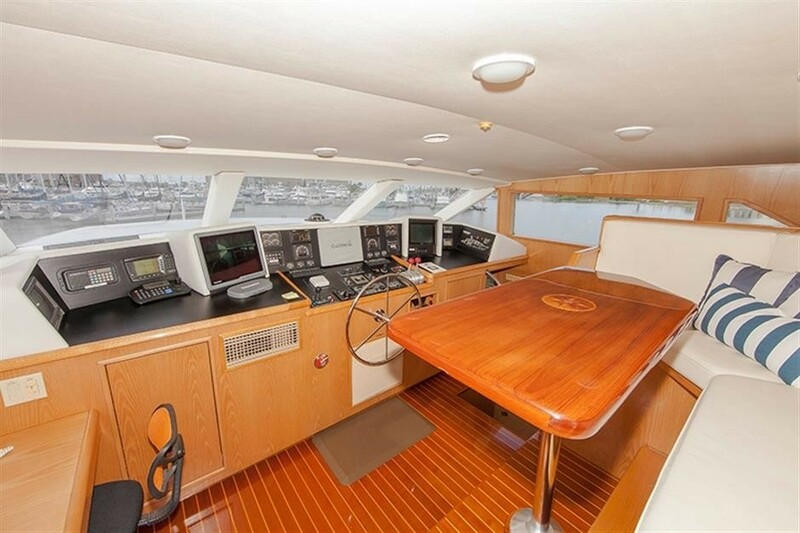 Luxury motor yacht INDEPENDENCE 2 was built by Broward Marine in 1993 and underwent a refit in 2011. 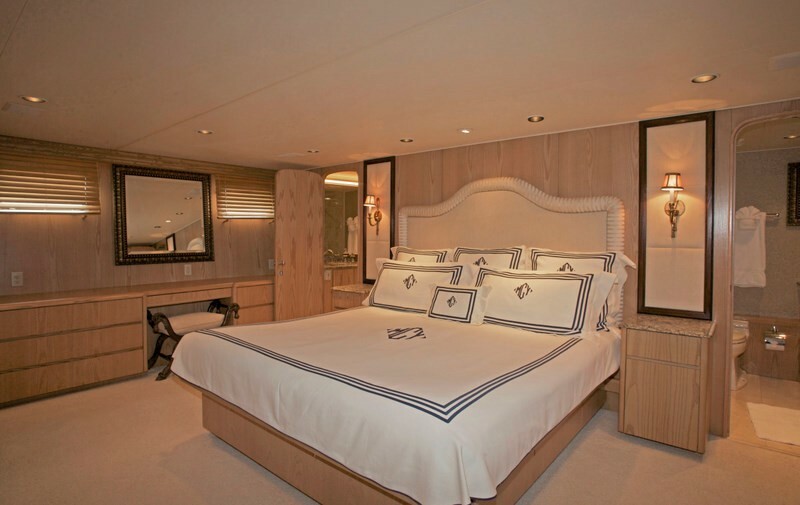 The yacht measures 32m (105ft) and can accommodate up to 9 charter guests in 4 spacious en-suite cabins. 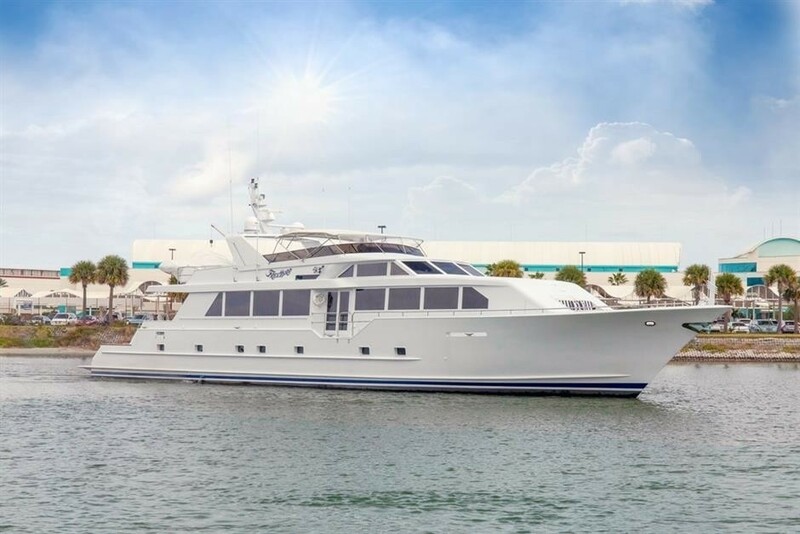 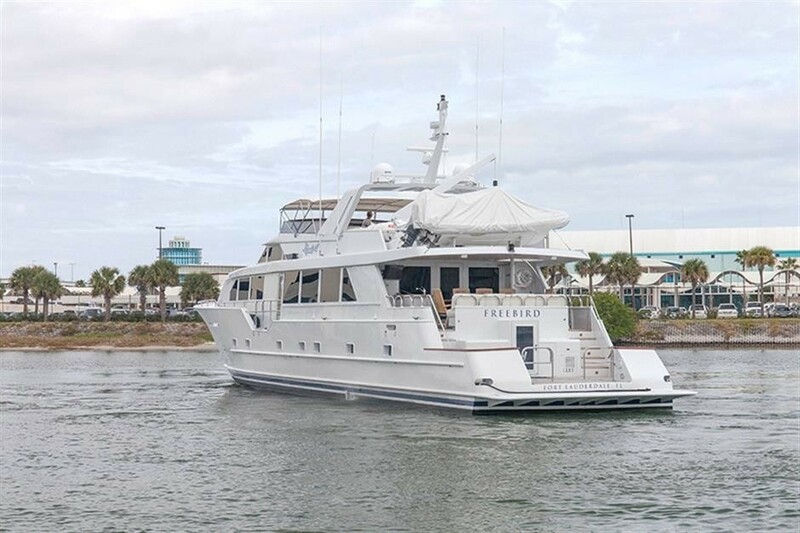 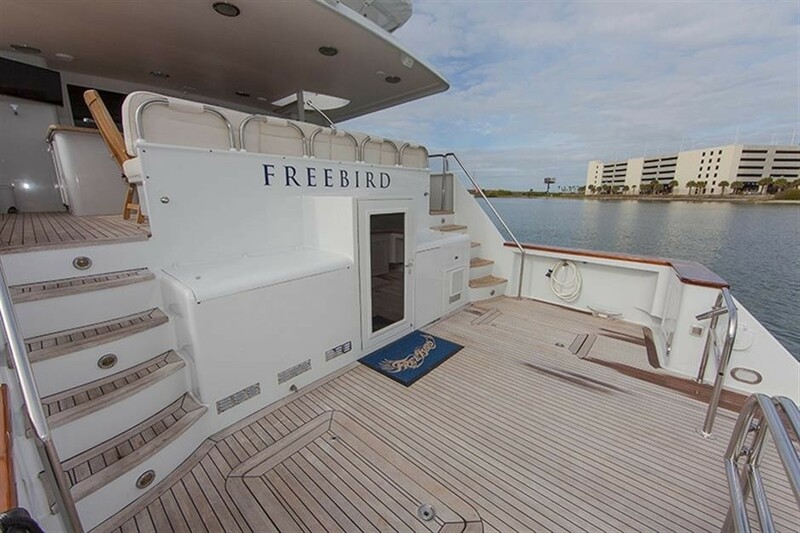 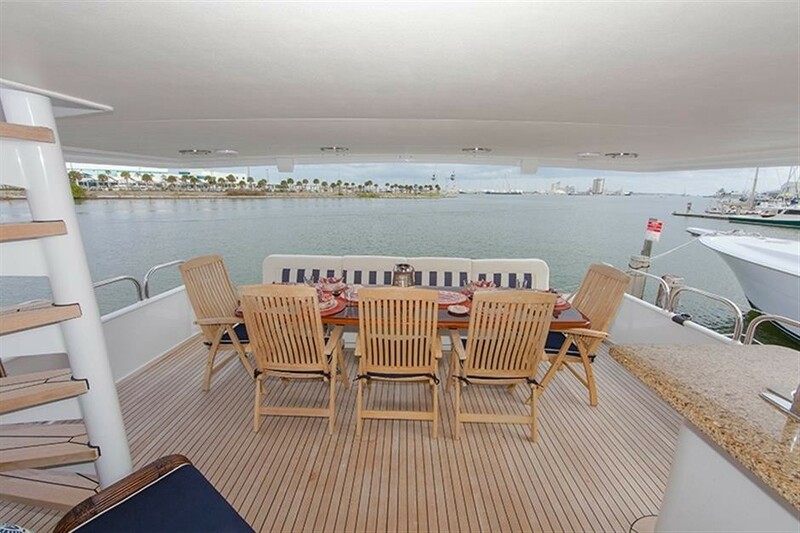 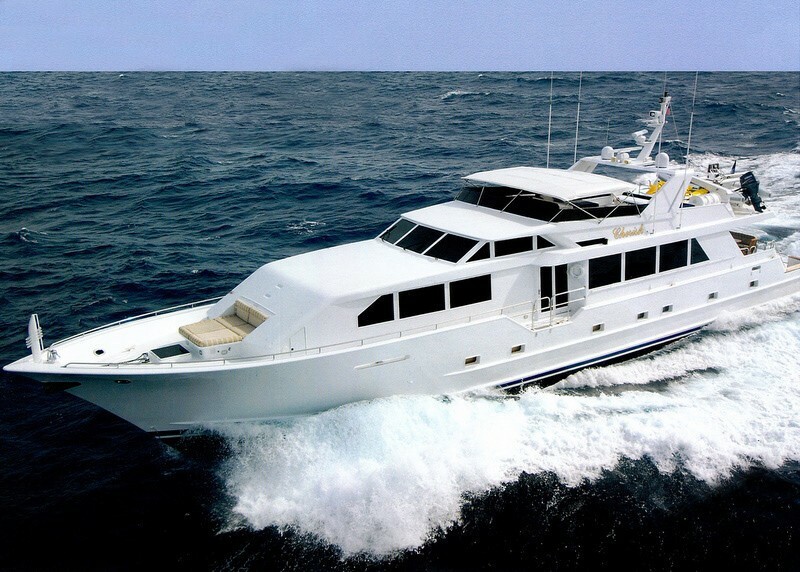 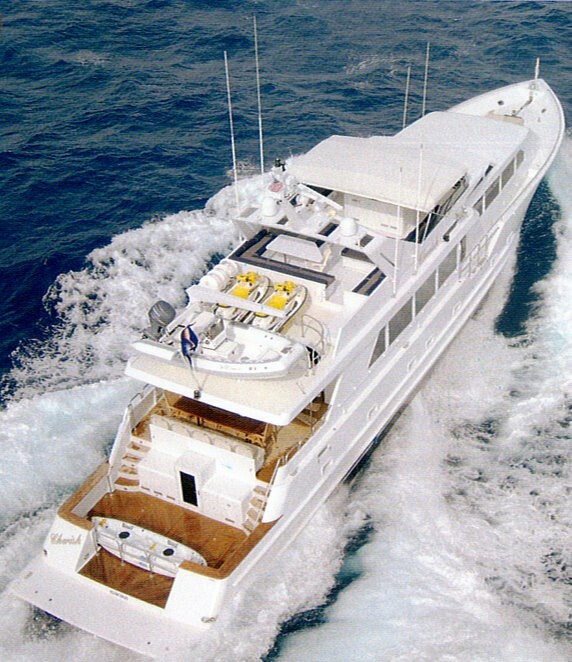 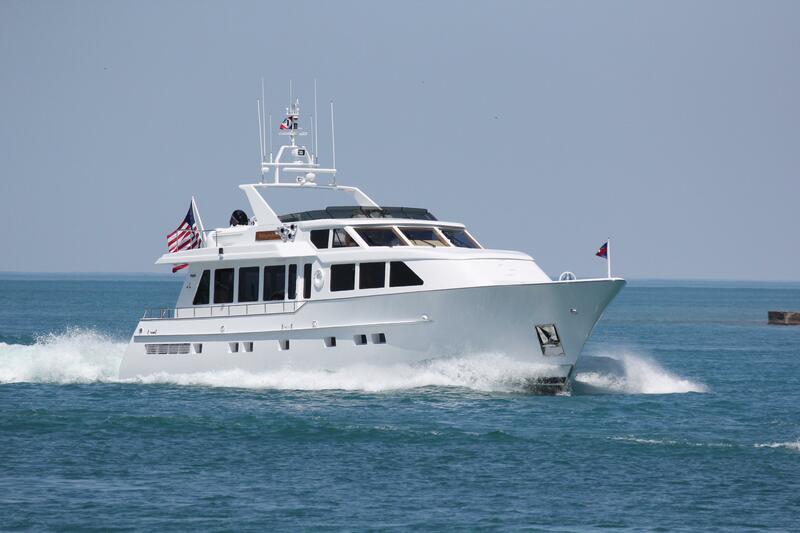 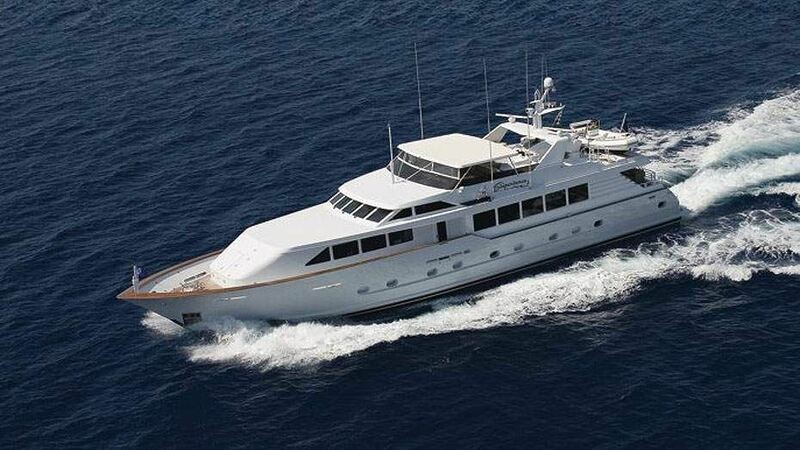 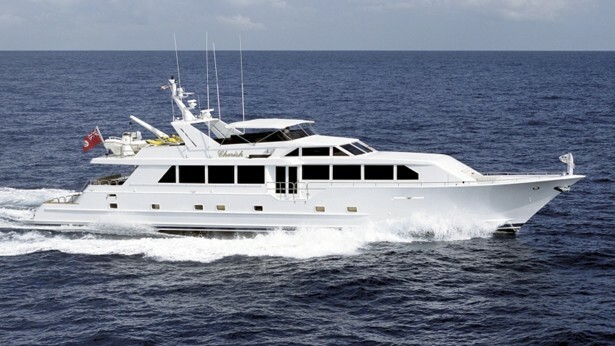 M/Y INDEPENDENCE 2 is available for charter in Florida and the Bahamas year round. 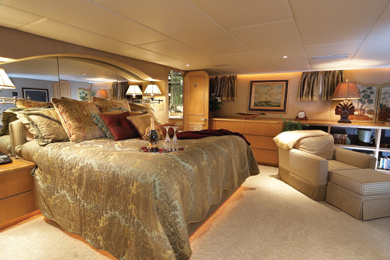 Charter yacht INDEPENDENCE 2 has an elegant interior featuring neutral tones, hues of gold, plush furnishings and fine marbles. 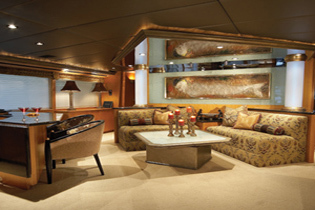 State of the art audio and visual equipment allows for further indoor enjoyment. 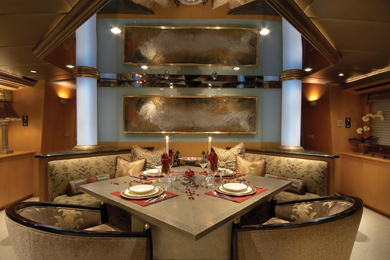 The salon and dining are an open plan enabling a unique multipurpose layout. 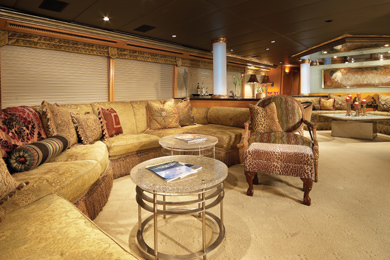 The lounge has ac comfortable large sofa, occasional chairs and coffee tables. 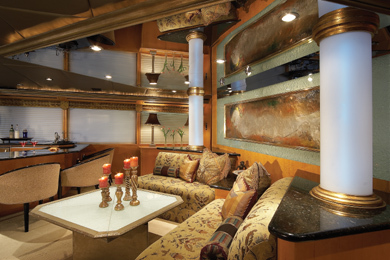 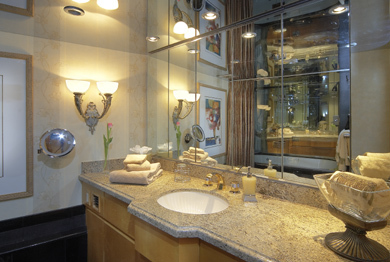 Just forward of the salon before the dining table is a complete marble topped wet bar. 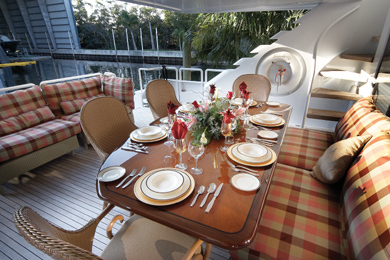 The formal dining table seats 8 charter guests with ease and converts into a cocktail table quickly, creating the ideal entertaining area. 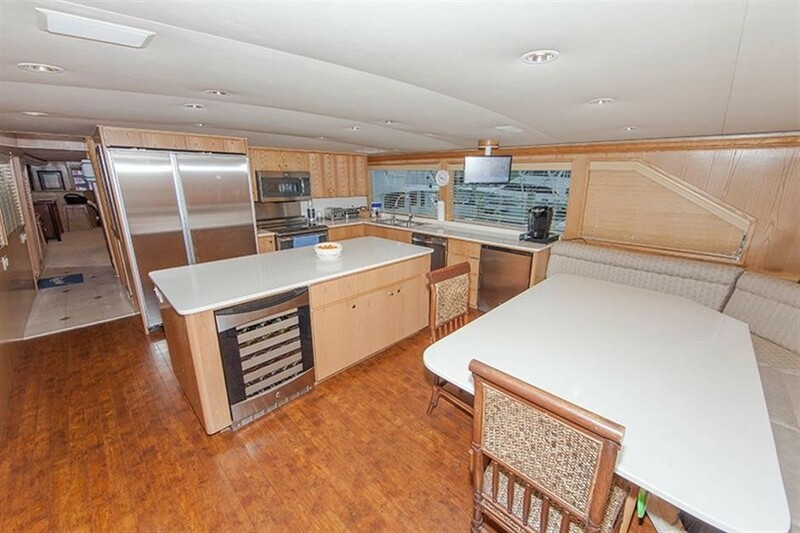 A day head is available forward of the salon and dining area, followed by a large country style kitchen with a casual dining table. 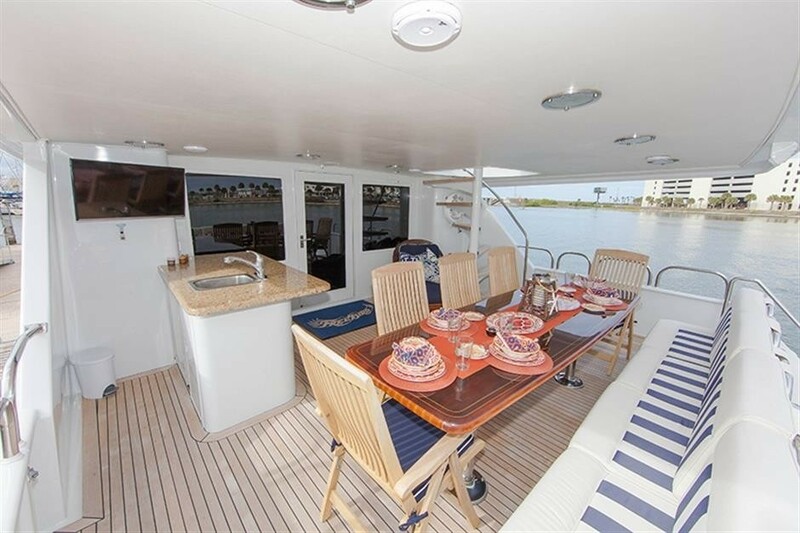 Exterior living aboard the yacht INDEPENDENCE 2 is generous, ideal for the warm Florida and Bahamas temperatures. 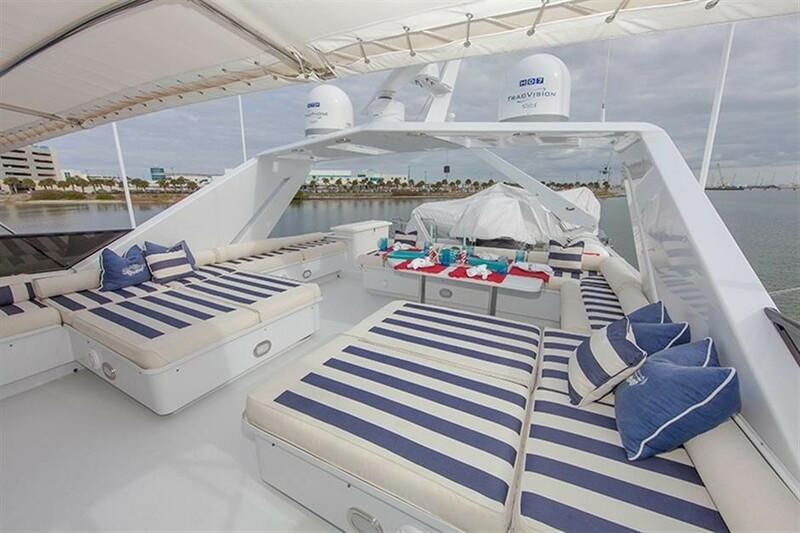 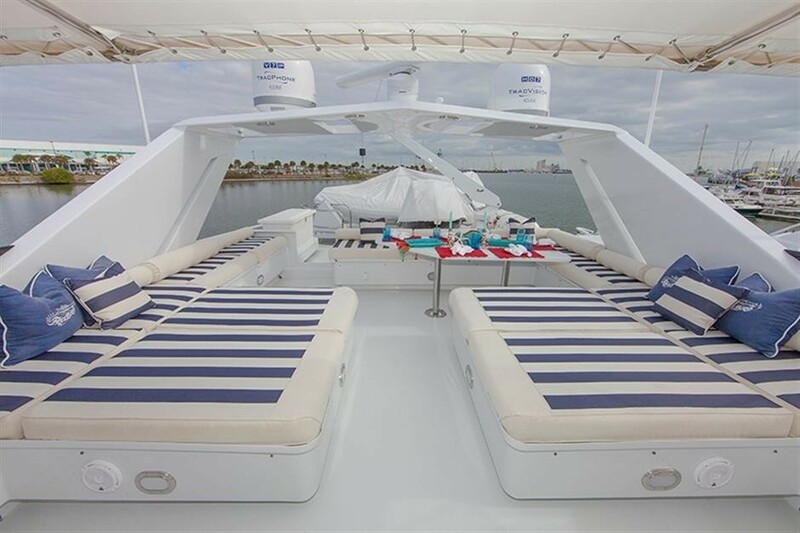 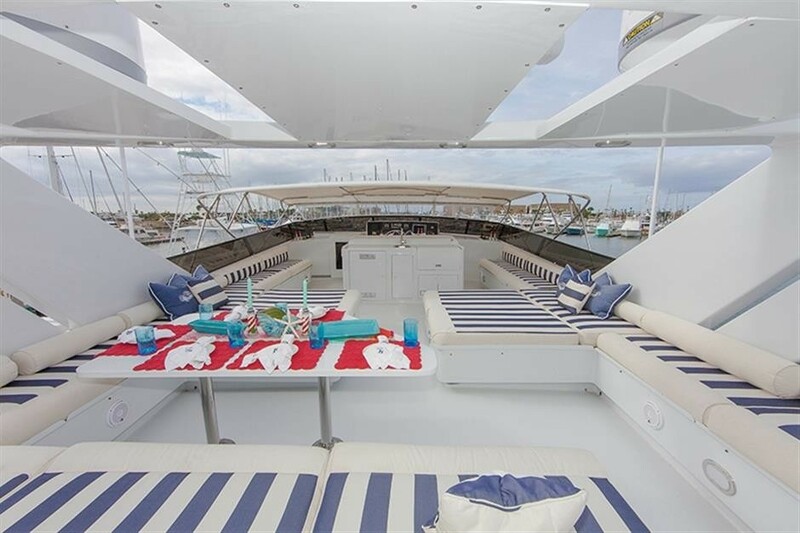 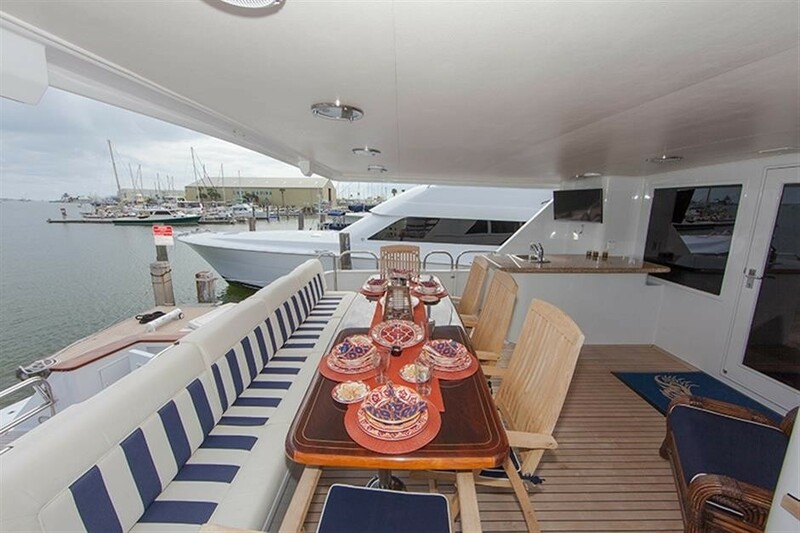 The aft deck is shaded offering an alfresco dining option and comfortable seating, indoor entertainment is brought outdoors with a flat screen TV and music system, further aft are steps to the extended swim platform and wonderful array of water toys including a 31ft Pursuit tender. 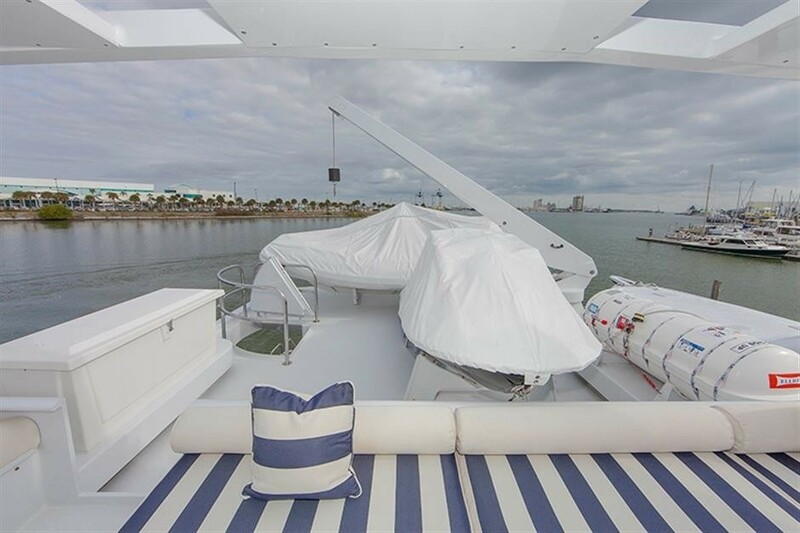 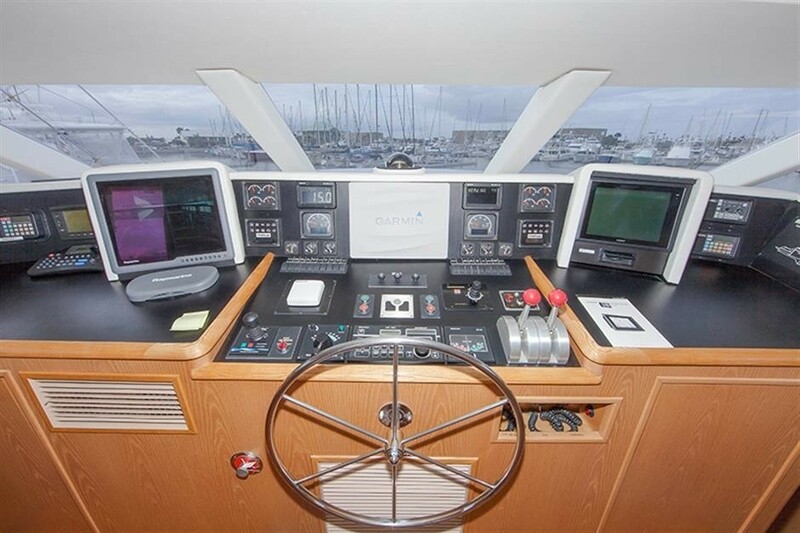 The INDEPENDENCE 2 motor yacht boasts a flybridge with entertaining and relaxing in mind. 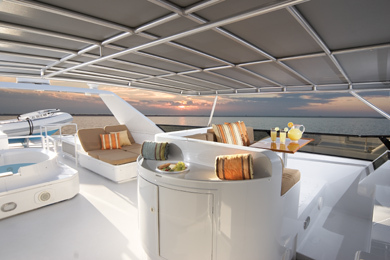 Sun worshippers will love the ample sunpads and chaise lounges, enjoy an evening aperitif at the cocktail table while watching the sun set, or unwind in the 6 person Spa Pool tub. 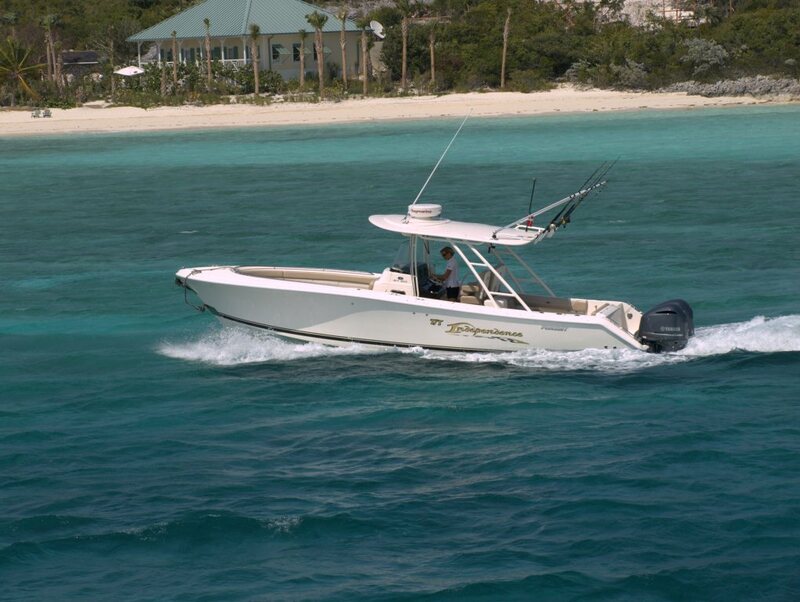 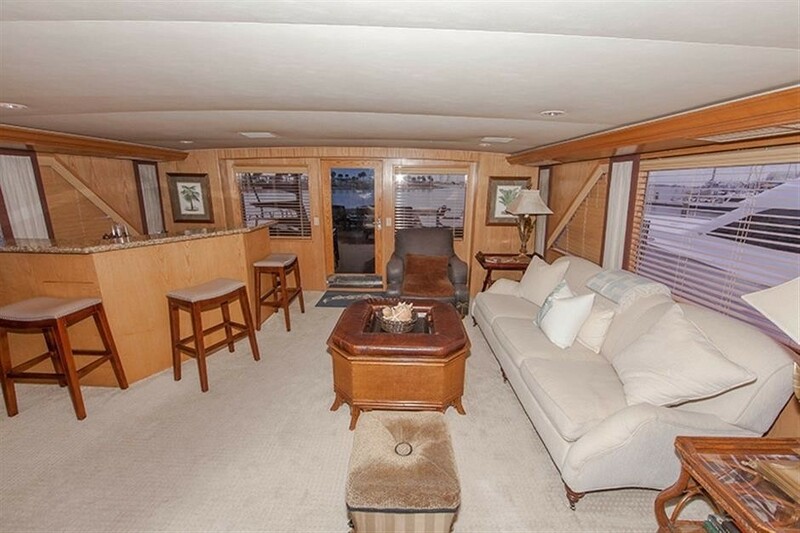 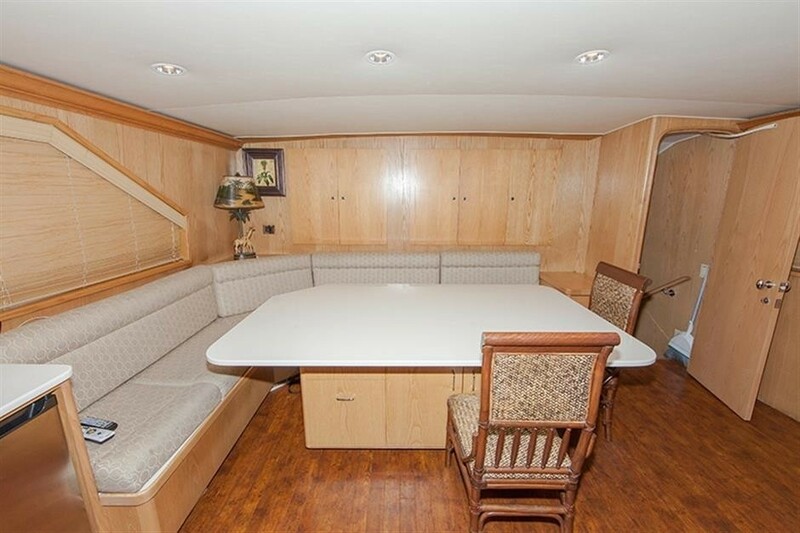 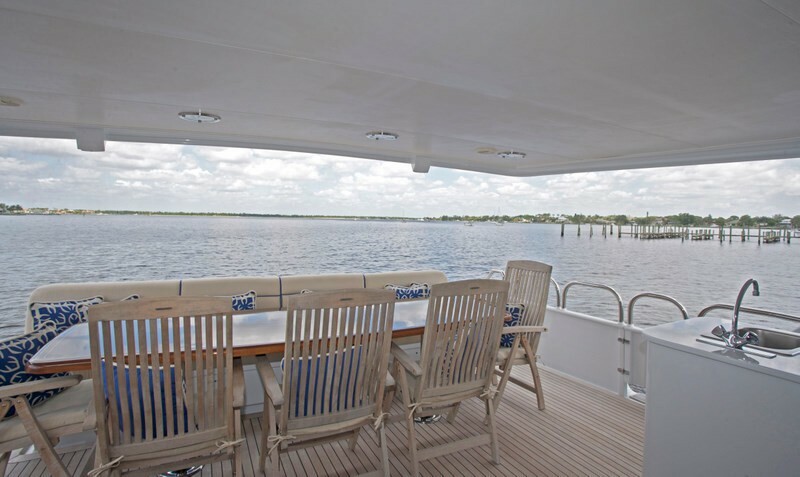 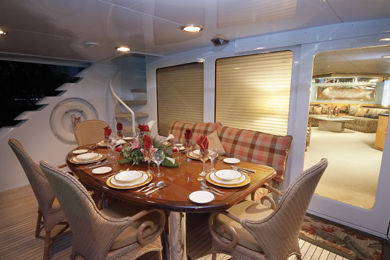 A fitted partial Bimini provides the perfect place for all to enjoy. 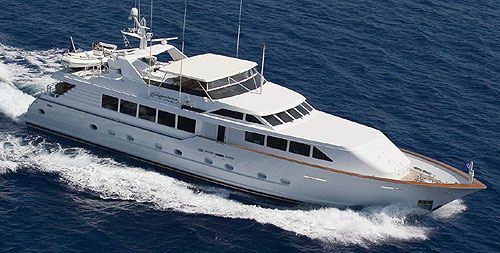 Charter yacht INDEPENDENCE 2 has a beam of 7m (23ft) and a draft of 1.8m (6ft); the yacht is capable of cruising at 16 knots with top speeds of 20 knots. 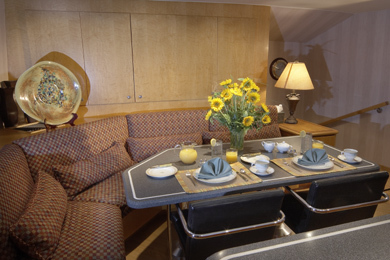 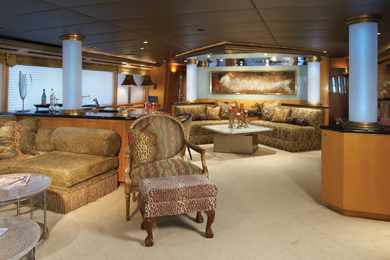 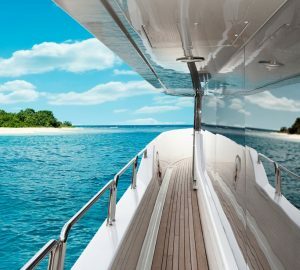 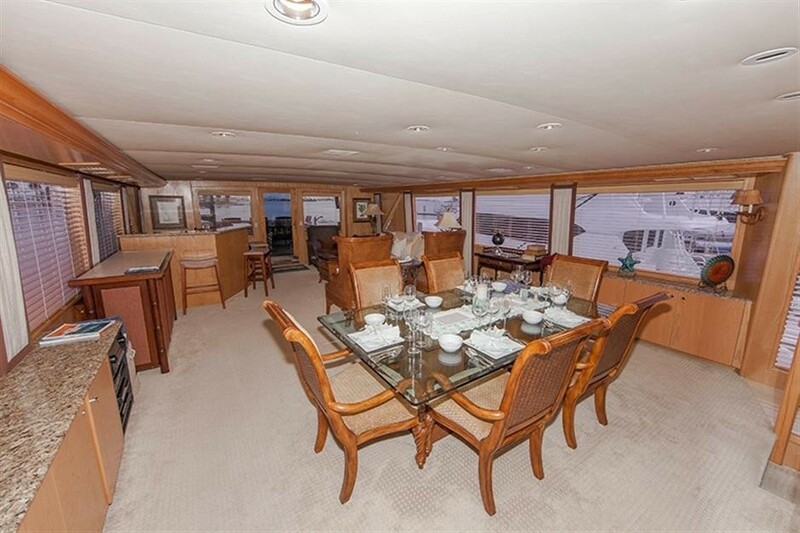 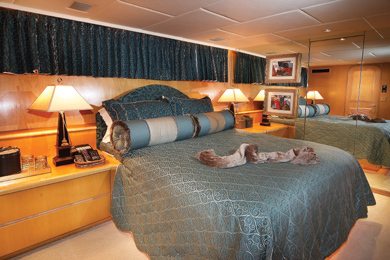 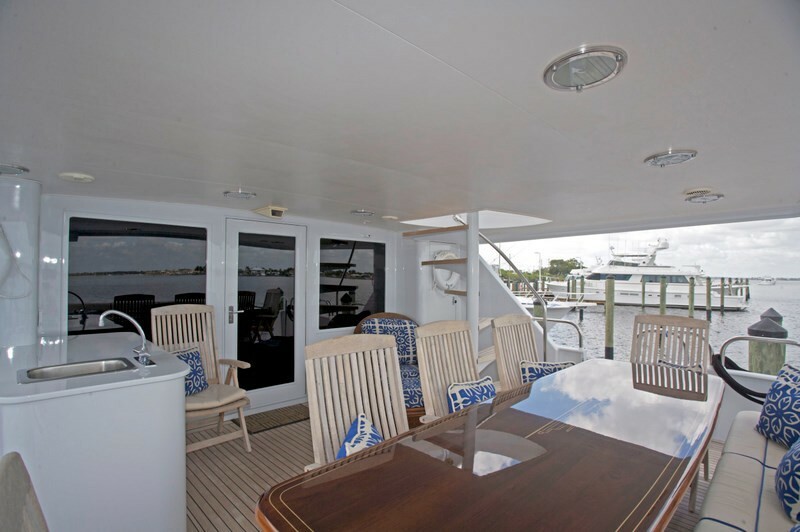 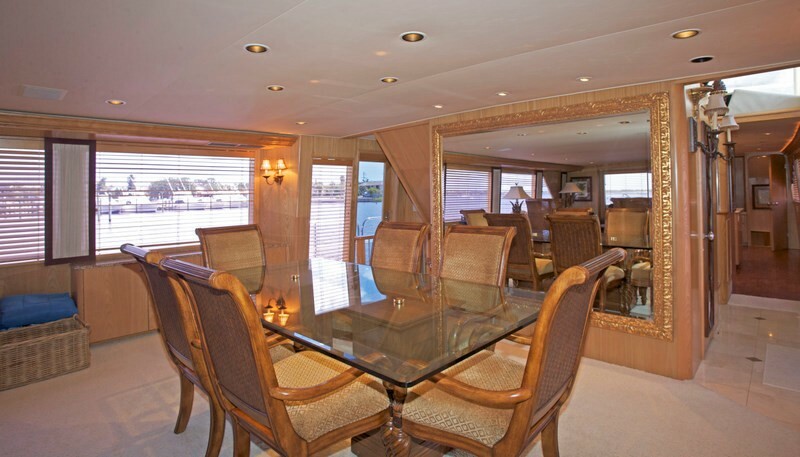 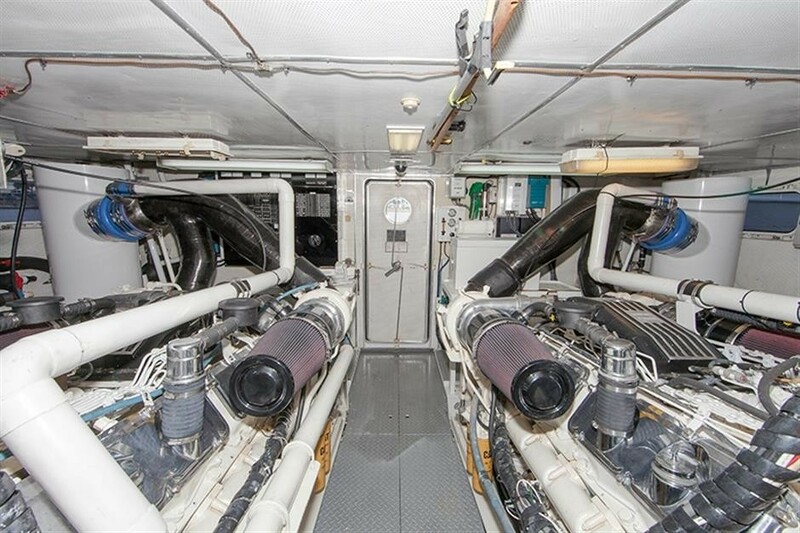 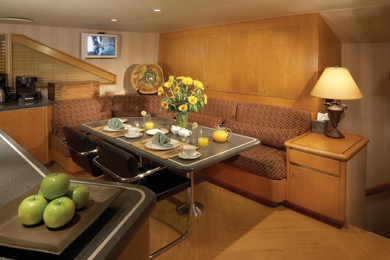 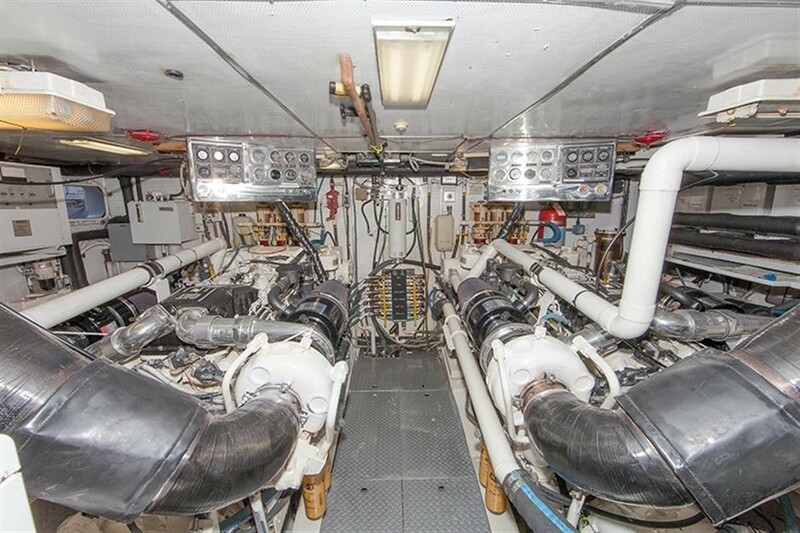 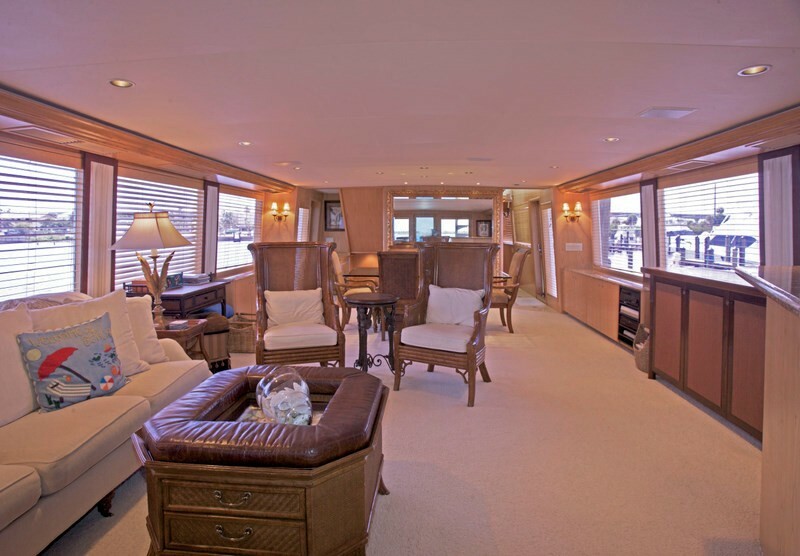 Below decks, motor yacht INDEPENDENCE 2 offers accommodation for up to 9 charter guests in 4 spacious en-suite cabins. 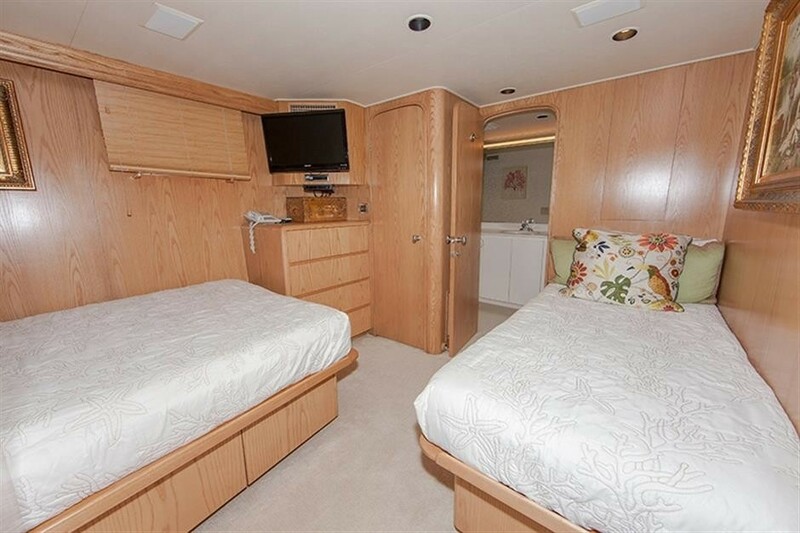 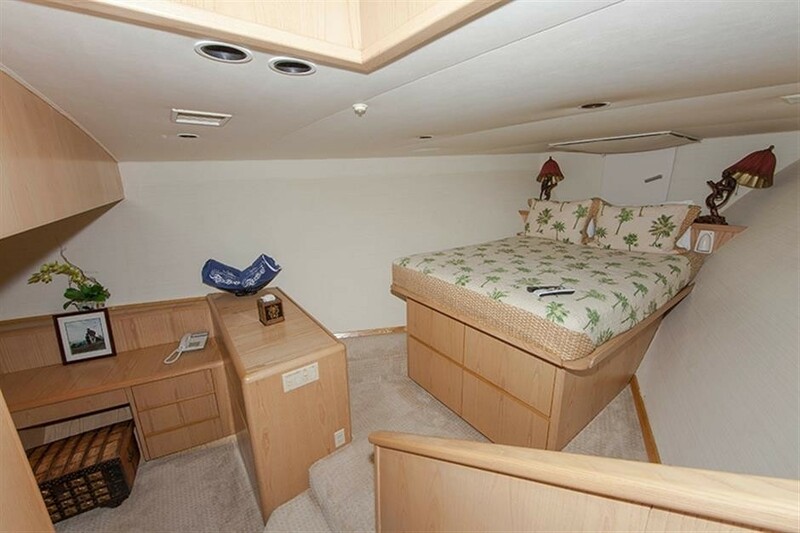 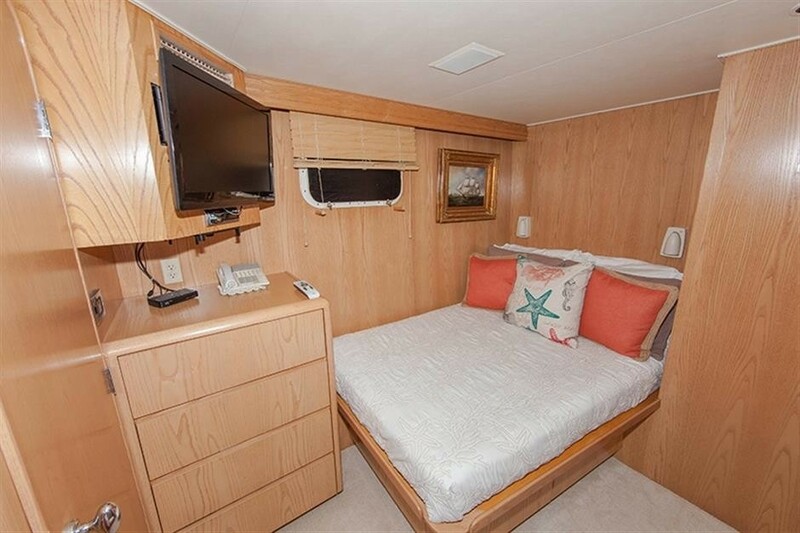 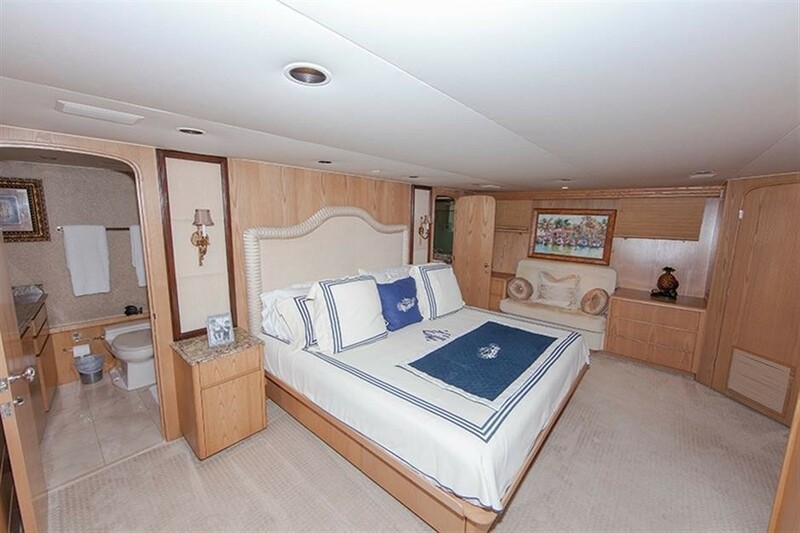 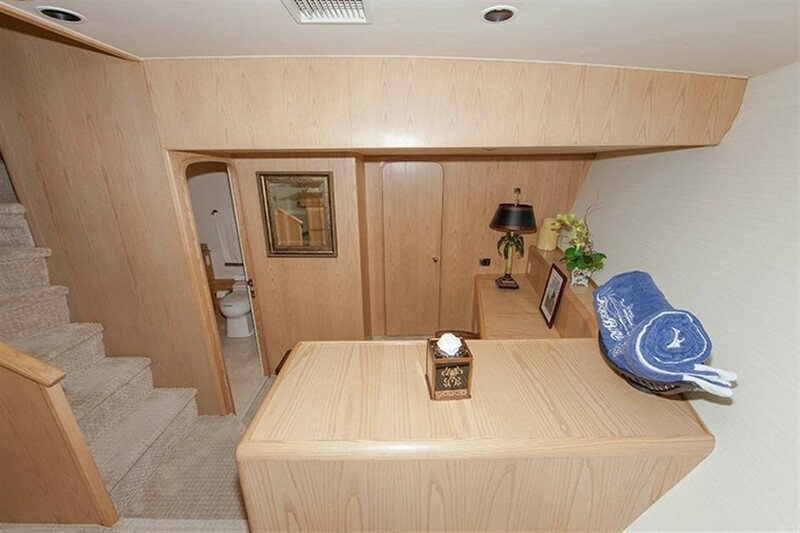 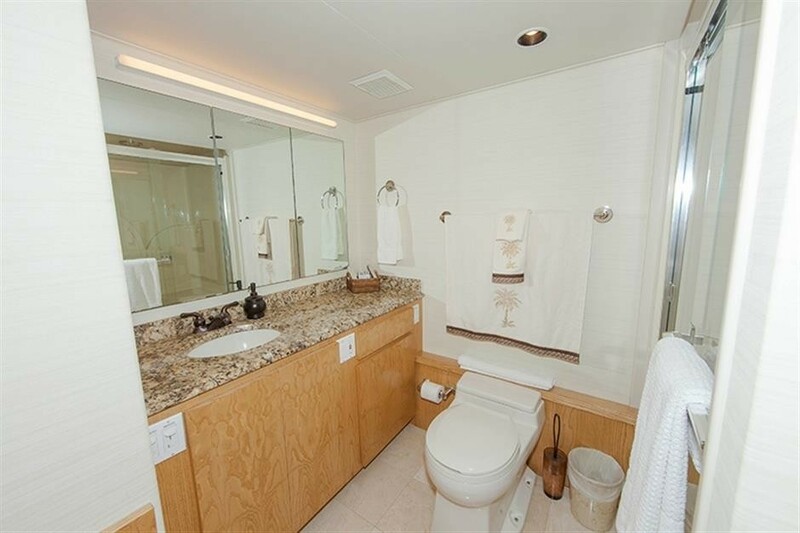 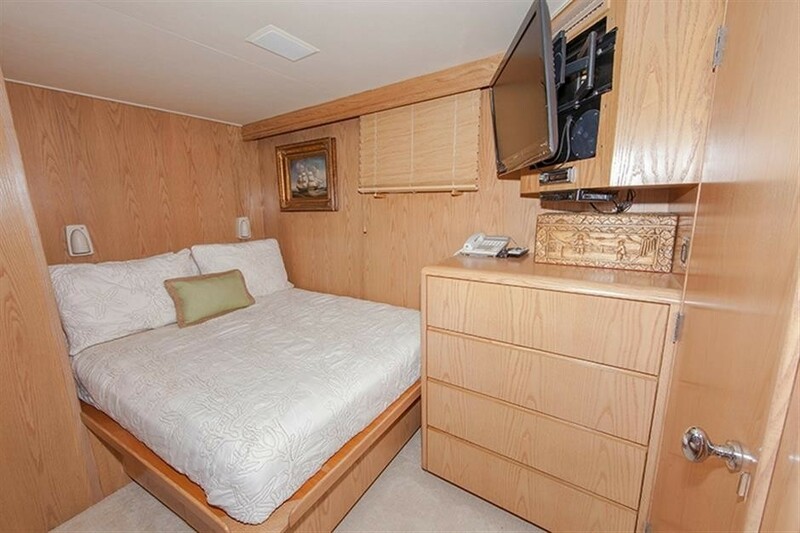 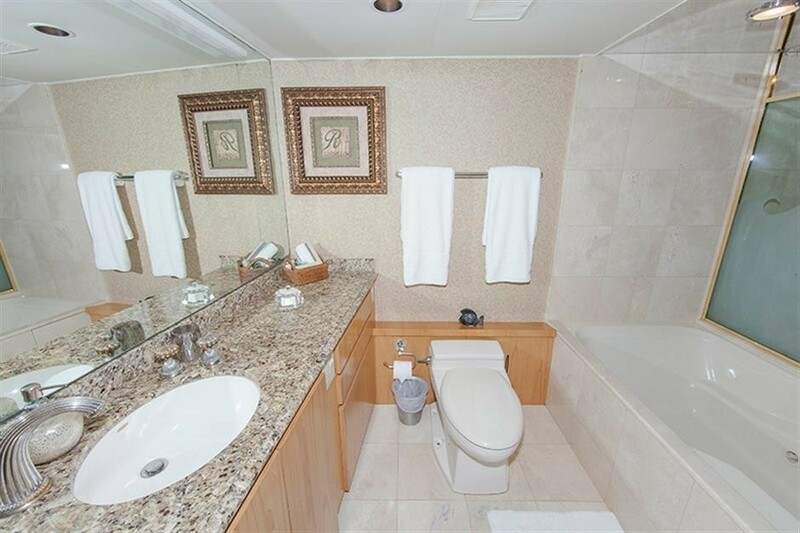 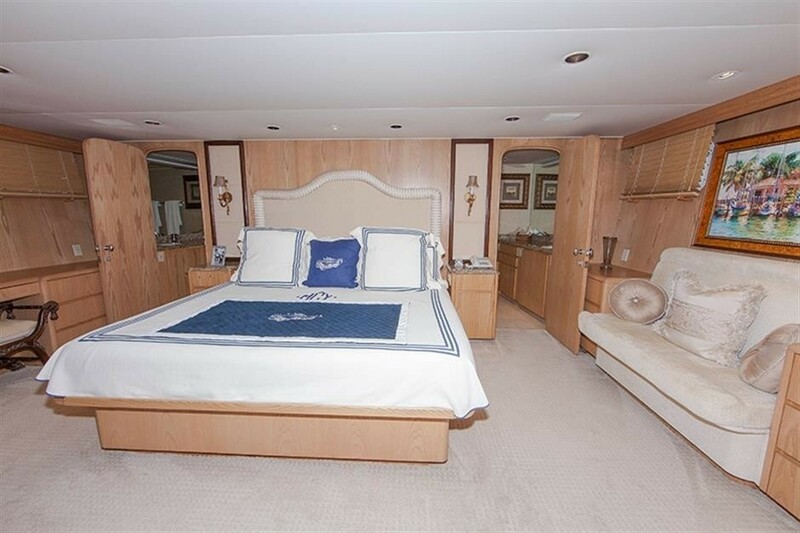 The master suite is amidships and full beam of the yacht with a king size bed, sofa, vanity, walk in cedar line wardrobe, his and hers facilities and steam shower. 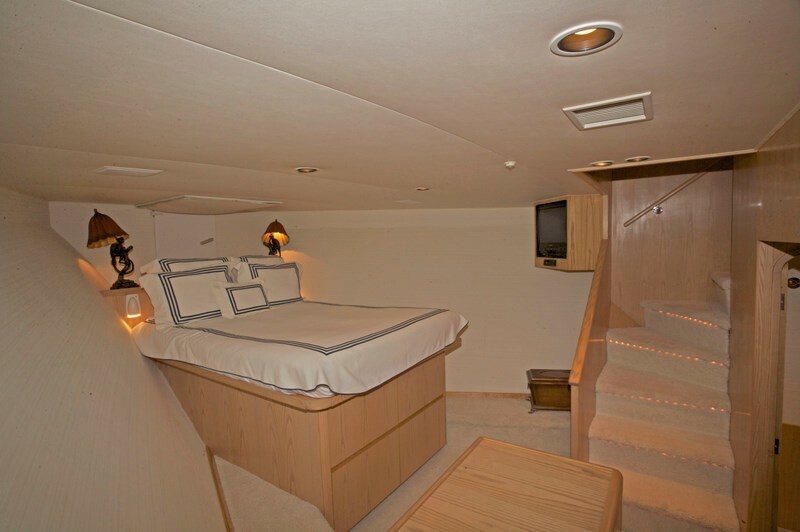 A VIP cabin is starboard and aft of the master with a queen size double bed. 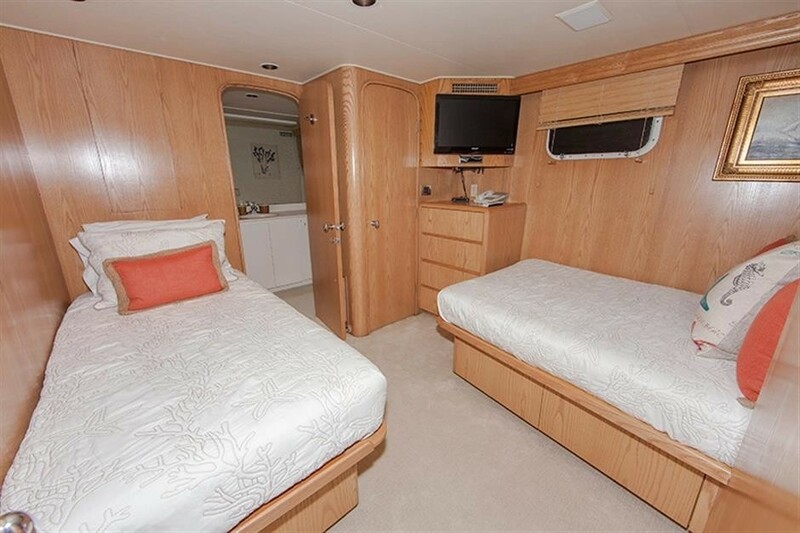 On the port side aft of the master is a twin guest cabin with 2 single beds, followed by a further twin cabin with 2 single beds and a Pullman berth. 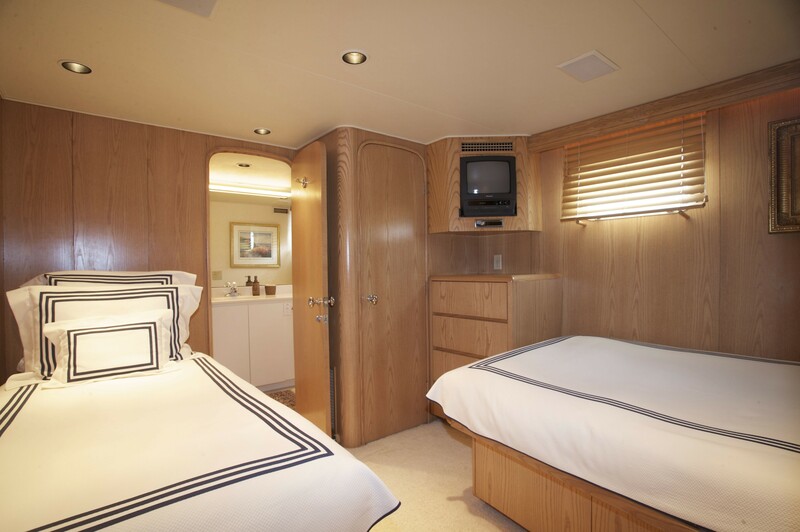 Each cabin offers audio and visual entertainment with SAT TV. 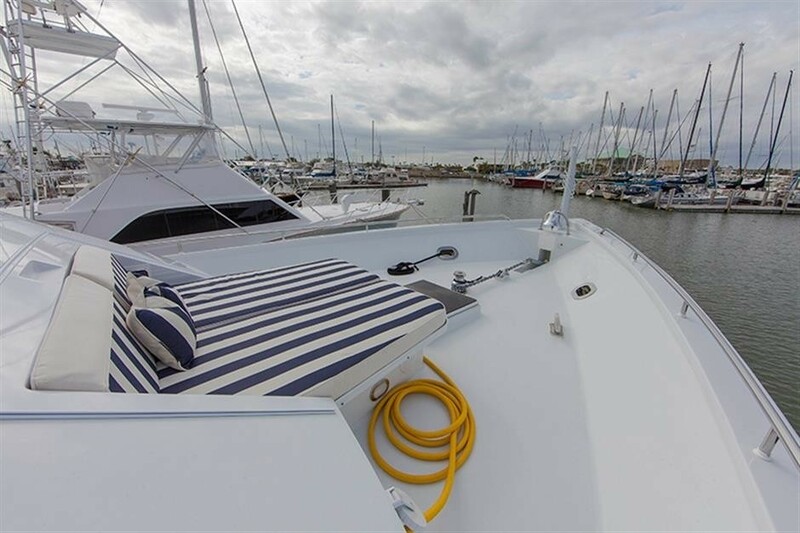 Tenders & Toys onboard the INDEPENDENCE 2 yacht includes the following Tenders and Toys: NEW 2011 31' Pursuit tender rigged for fishing. 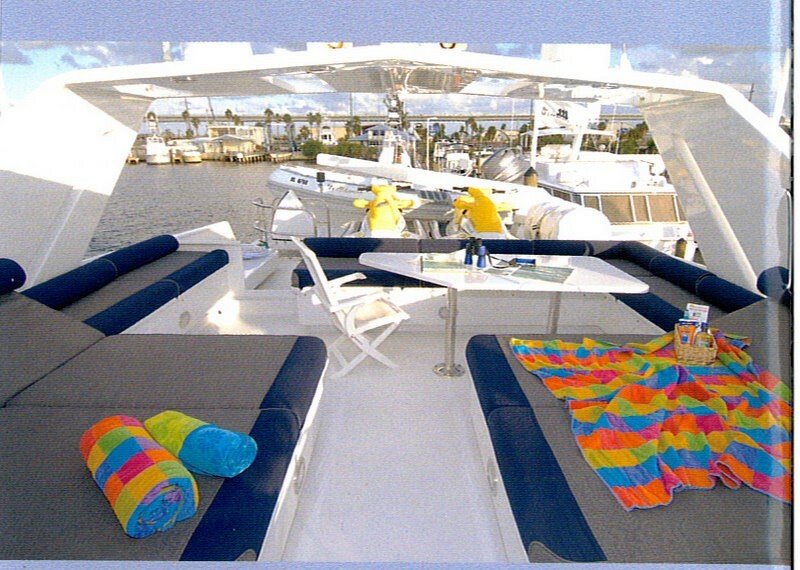 Towable Innertube, Snorkeling Equipment, Wakeboard, Brownie Third-Lung Breathing Apparatus, Diving board, 3-person Waverunner, Waterskis, Kneeboard, Communications include Internet: In USA - There is a cellular card for internet broadband on board and guests are able to use boat computer to access internet and/or can also access wireless on board from their personal computers. 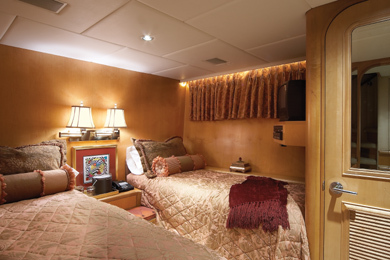 Cell phone, SSB radio, VHF radio, Audio Visual Equipment and Deck Facilities include a Surround sound system throughout, 35” TV/VCR/DVD/CD/stereo, TV/CD/DVD/Stereo in each Stateroom, 4 Receivers for SAT TV, Master and guest Staterooms, Main Salon, Galley, 42" Plasma on Aft Deck.